5G-driven digitization will predominantly accelerate the growth of healthcare, energy, automotive, manufacturing, finance, and agriculture sectors. 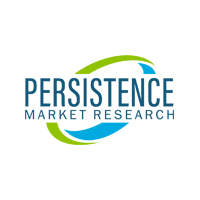 The telecommunications industry comes up with a new wireless technology generation every few years. While the world looks up to a promise of experiencing a huge change each time; this time, it is probably true. The "Industrial Internet", more popularly referred to as 5G, is believed to bring in drastic changes to the industrial world, and this is just the perfect time for a revolution, according to global industry experts. The influential emergence of 5G technology and exploding popularity of IoT (Internet of Things), IoE (Internet of Everything), and M2M (Machine-to-Machine) communication unleash the dawn of various derived industries, which will eventually signify the new stream of revenue generation. Some of the global industries, which are thought to be transformed due to the aftermath of the 5G technology, include healthcare, manufacturing, energy, utilities, public safety, finance, agriculture, media and entertainment, automotive, public transport, and retail. While there are several other sectors likely to be hit by the technology for a better future, this list represents the most notable, expecting major revolutionary changes post-emergence of 5G. 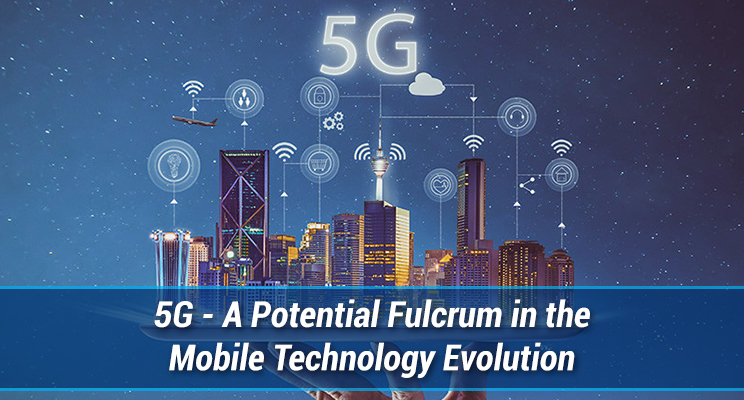 On a journey from “just another network” to being an immensely impactful revolution, the 5G technology efficiently represents a tipping point in the technological evolution that is strongly believed to hold a drastic impact on global industries.? Monitoring and linking of remote sites will be way easy with the adoption of 5G technology. Moreover, the technology will serve as a catalyst in managing distributed energy resources and integration of sensors in system. Smart meters and AMI (advanced metering infrastructure) will witness a much-awaited paradigm change. 5G will facilitate predictive robot maintenance and real-time monitoring of the end-to-end value chain. Cloud robotics will probably come to reality post-adoption of the 5G technology by manufacturing industry. High-resolution remote QC is another highly anticipated benefit. Mobile delivery of medical data sets and secure remote sessions with healthcare experts will be at the forefront, when 5G hits the healthcare sector. Rehabilitation will possibly be delivered through cloud robotics, whereas emergencies would be handled by ambulance drones. Smart syringes, smart beds, and other smart technology objects will change the face of the healthcare sector. Cloud-based insurance with high security and a next level mobile trading will be the future of the finance domain, once the 5G technology hits in. Another significant happening driven by emergence of 5G includes high-security remotely conducted sessions with the industry experts. With autonomous and connected vehicles are already on roads in some parts of the world, the introduction of 5G technology will allow these vehicles to perform on-the-field tasks related to farming. Based on the data offered by sensors, it would be easy to achieve predictive maintenance of all the farming equipment. Remote advice by experts and support for e-learning are foreseen to be the next exciting outcomes. Logistics optimization will also be one among the impacted areas. Following incredible innovations in AR dashboards and infotainment, leading automakers are constantly striving to deliver improved customer experience. Incorporation of 5G in the automotive systems will offer a 360 degree image of vehicles in the vicinity. With promising 5G technology soon to appear, using a mobile app with 4K resolution is no more a dream! While the world is all set for the 5G-transition, the newly capable telecom networks will serve astonishing benefits to both industries and consumers. Following the much needed capabilities (for telecom networks) such as excellent agility, higher capacity and reduced energy consumption, reliable speed and security, greater bandwidth, and low latency with curtailed costs, the global industries will welcome a heap of new opportunities in the next few decades.